The Lipizzan horses for sale are a breed of horse that is pretty much always associated with the Spanish Riding School of Vienna, Austria. 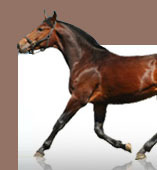 There are many reasons why they choose to use this horse breed. One of the main reasons is because of how good this horse is at doing jumps. These horses handle jumps well, so it is very easy for people to learn how to do jumps on these horses. Of course, it still takes a lot of schooling to get people ready for this, but these horses have done it so much that they are use to doing jumps by now. This makes it easy for students and soon to be riders to get good at horse jumping. However, there are other reasons why they use Lipizzan horses at these schools. These horses are very calm and handle new riders very well. In fact, most of these horses just like to be around people, and they like to be around people that like to ride even more. The Lipizzans are not very big horses. Most of them are about 14.5 hands high. However, they can get as low as 14.2 hands high and as big as 15.2 (which is uncommon). These horses, like many horses, are very compact and muscular.. they have very powerful hindquarters that allow them to get air bound very quickly and get good height on their jump. Their legs are powerful enough not only to get their big bodies off the ground, but also big enough to take you off the ground with it. That is why these horses are so good at jumping. However, with all of this power, you need a lot of control. The good thing is that these horses are pretty easy to control. At the same time, they can get carried away with jumping, and you have to learn how to keep them calm. They are used at many schools because of how trainable they are. They will do just about whatever you train them to do, and it is usually pretty easy to get them to follow directions. However, all horses can act up from time to time. These horses are one of a kind, and that is why they are used at training schools all of the time. If you are going to have a horse that is going to be the horse that people learn to ride on, then that horse has to be very confident and be able to put up with new riders who may or may not know what they are doing. However, these horses usually do not have to put up with riders that do not know how to ride, but they are very understanding horses and can do it if they have to. This is one kind of horse that your whole family would love. The only problem is that these horses can cost a lot of money. The Lipizzan horses are not the cheapest horses in the world to buy. However, they are good at what they do, and thus, they are worth all of the money that you spend on them.